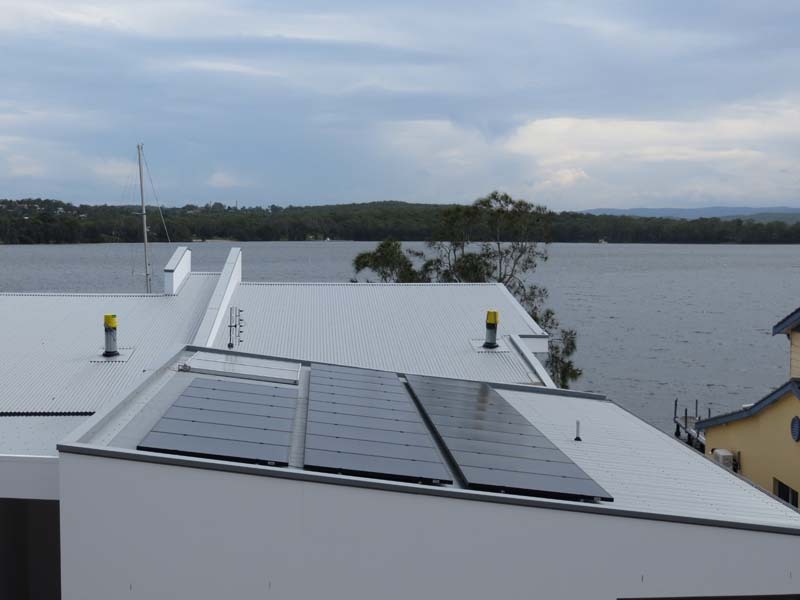 The 7.15kW Solar power system will supply 28kWh/day and store 10kW in the batteries per day on average over the year. Hybrid solar power systems allow solar power to supply both day and night time demands providing greater flexibility of power use and as a result dramatically reducing electricity bills by eliminating peak rates. Hybrid solar installations are unique and present interesting design challenges. This particular property, as usual, had an interesting story. This is a large rural family home with four children on single phase power and suffering regular power disruptions. The power disruptions affect their frozen food supply and water pressure, as the house was supplied by only tank water relying on an electric pump. One of the main concerns of the home owner was to be able to protect his home and family with the threat of a bush fire as under his original circumstances the loss of power would render them defenseless. Being a single phase power system meant the property must also comply with the maximum of 5kW export (at any one time) ruling from Ausgrid. 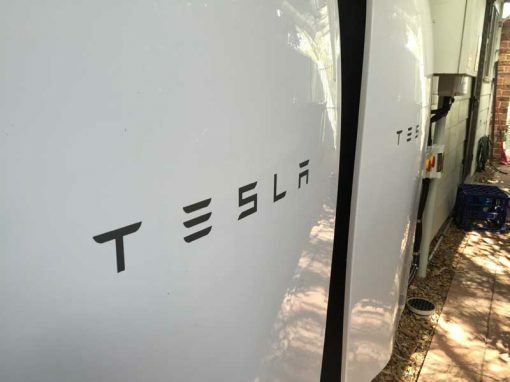 Once the home’s power demands are met, battery storage is completed the excess is then exported back to the grid. A Hybrid solar power system was going to be the best solution, making use of the grid connection but with the majority of power being supplied by solar and stored to be used as needed and in particular provide an uninterrupted power supply to the home when the grid connection goes down. A 7.15kW Hybrid Solar power system that will produce about 28kWh/day and has 10kW of battery storage. Between 15 – 18 kW go towards running the house through the day and 10kW gets stored for evening & night time power demands. 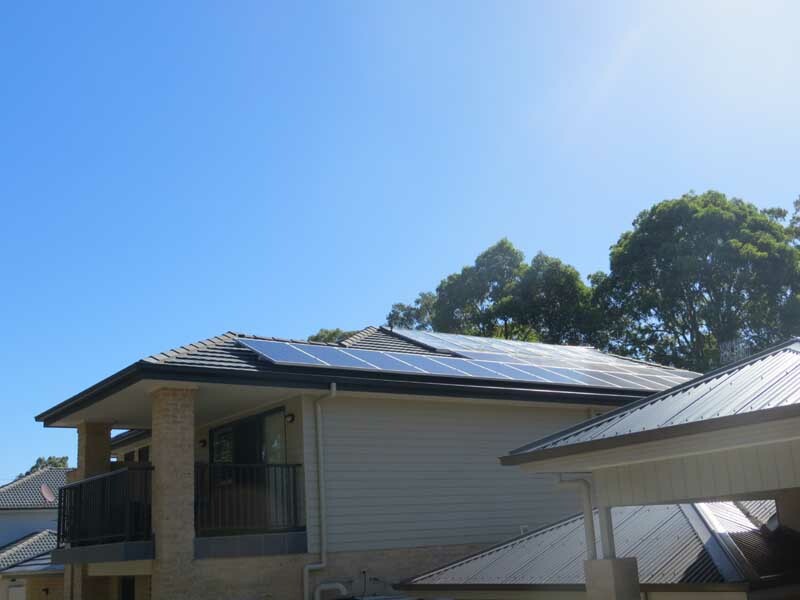 To support this hybrid solar installation the home owner also coordinated other energy saving devices including LED lighting to minimise the load where possible. The concept of reduce it before you produce it is good motto and one we recommend to all our customers. Any solar system requires careful analysis of the the families energy demands which in this task was made difficult as the family had not long been in the property. We utilised previous energy bills which were quite high and designed the system with a live monitoring and alert system. This meant we could monitor and customise the balance of power production and storage over the first 6 months of the installation to fine tune the set up to exactly meet actual, rather than predicted, demands. This is done remotely without our team having to leave the office or disturb the family. The alert system also flags any issues that may need attention by the solar team again minimising any disruption to the family and ensuring their power supply is secure at all times. This kind of service is highly valued by our customers as it provides peace of mind allowing them to get on with the more important aspects of family life. 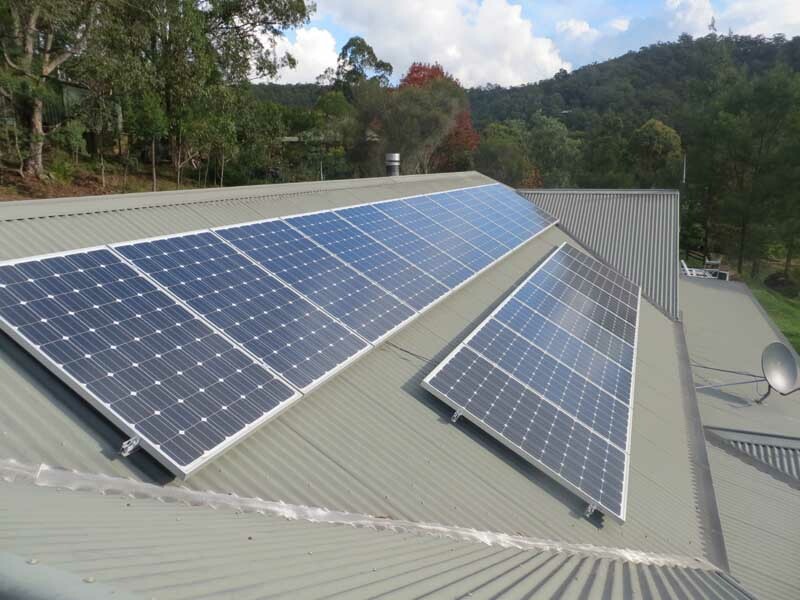 The system also provides a grid export limited factory lock only sending a maximum of 4.5kw back to the grid at any one time, thus meeting Ausgrid’s requirements and allow a larger (beyond 5kW) solar system to be installed to more adequately meet the home owners energy needs. In reality this would happen very rarely as the system has been designed to capture all of the produced power. But consideration would have to be made to manage the power on a sunny day, with minimal power demand and having the battery storage at full capacity. This hybrid solar power system has provided both independence and security to this family. A great result for the innovative team at Superior Solar.